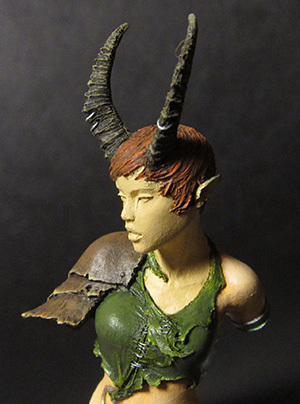 I have made some more progress on the faun. 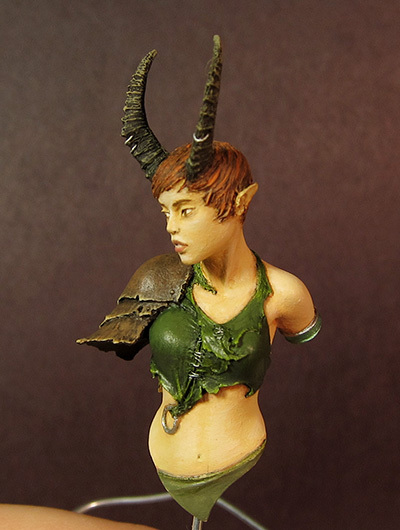 Yesterday I colored in some highlights on the hair and painted the horns. Today I started working on the face. I still have some work to do on the face, especially around the eyes and mouth, and I had some ideas to try to add some freckles to go along with the red hair. That might be a bit tricky at this scale though (at at my skill level…). 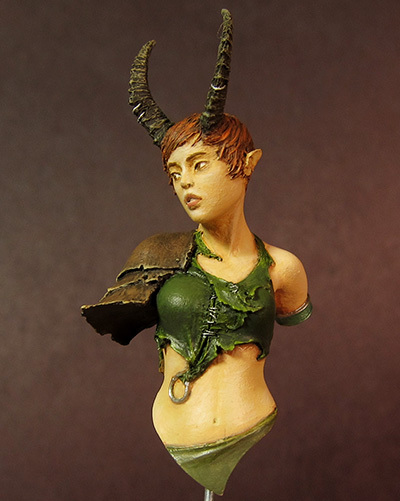 There is also some general finish up to do all around. I also need to paint the fabric at the bottom. But I should be at least 75% done.